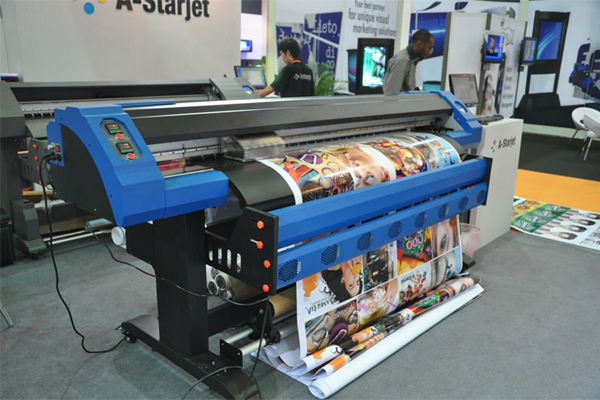 Printing technology has definite scope in today's media-driven world. Print media one of the strongest and powerful mass communication media, is a large scale industrial process, and is an essential part of publishing and transaction printing. Print technology was invented in the fourteenth century by Johannes Gutenberg of Europe, most popularly known as the father of printing. Though printing used to exist in China and East Asia much earlier initially as Wood block printing and then as movable printing, it was the printing press or the movable type printing of Gutenberg that the later developments were derived from. Most notable among the printing techniques later developed include Steaming press (1830), Rotary printing press (1843) where the content to be printed are rolled around a cylinder, which enabled mass production, and its more popular variations such as Offset press (where the inked content is transferred from a plate to a rubber surface and then to the printing surface), Gravure (where the content to be printed is made up of small depressions in the surface of the printing plate) and flexography (where a flexible plate is used), digital printing and many more. With recent advances in engineering and the boom in use of computers in business, modern technology has changed the way in which printing is now executed. Latest presses are mostly computer controlled. Printing means presentation. It is the presentation of our ideas, views, thoughts, news & events, expressions and skill in the form of printed text or graphic format. In other words, it is a tool to express creativity using technical skills. It is a multi-disciplinary profession, which deals with text and graphics to make a final print by transferring ink on paper or board or other materials. The printed material either book, magazine or newspaper has a strong impact on society and plays a key role in nation building. Print media influences every sphere of our life. It not only helps in educating people but also provide them a clear picture of what is going on in and around the world. Printing technology, a part of the mass communication process involves several skills, in which technical skills holds prime importance. Each person engaged in performing typesetting, designing, pasting, plate making, image setting, camera work, printing and binding has a specific and specialized role to perform and contribute for the final output. The type of printing process / technique used varies depending on the sort of final product your employer's business produces. The most popular applications of printing are newspapers, periodicals and hoardings, which include colour magazines, books, brochures, posters, catalogue, pamphlet, banners and so on. Others manufacture labels for foodstuffs, bottles and clothing. Some produce specialised items such as chip packets, frozen food wrapping and CD labels. Offset printing (combined with lithography technique is commonly used for books and newspapers), Rotogravure (for magazines, packaging), Flexography (for labels, packaging, newspapers), screen printing (for printing on T-shirts, floor tiles etc. ), digital printing such as inkjet (for books, packaging etc), laser (for bills, documents), dot-matrix etc are some of the common techniques used.